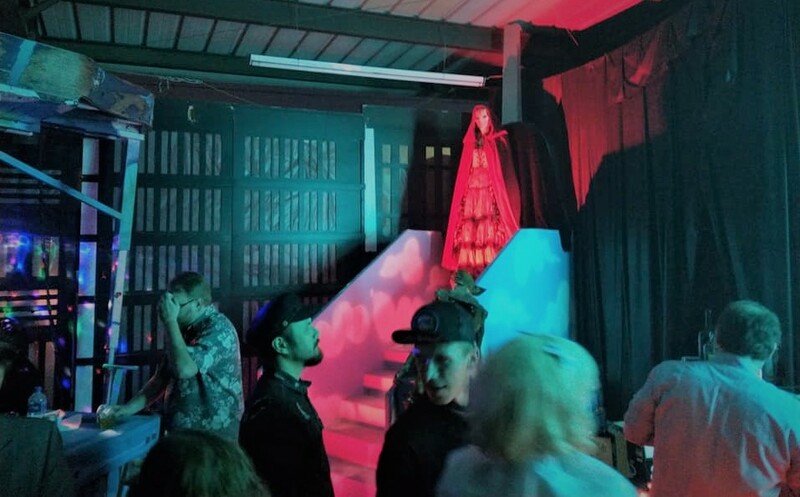 I just wanted to take a moment to offer a brief, belated review of this year's Halloween & Mourning Tour at the Heritage Square Museum this weekend. Heritage Square, which preserves Victorian mansions built in Los Angeles near the turn of the previous century, has offered this self-guided tour every Halloween for the past eight years. During one weekend near the end of October, visitors walk from house to house, where actors in period costume explain customs, beliefs, and superstitions regarding funerals, death, spiritualism, and Halloween. The appeal is more historical than horrific; nevertheless, this is a fascinating glimpse into the past, before Halloween turned into the modern mardi gras it has become. This year's tour was less Halloween-oriented than 2010 (which offered one house decorated with Halloween party favors and treats). The focus was more on funerals and spiritualism, including a very impressive seance, complete with ghostly rappings on the wall in answer to questions from the medium. The actress was perhaps a bit too convincing: when she terminated our session by pleading exhaustion, visitors waiting in line behind us gave up and left too! Although the tour is self-guided, the costumed characters were eager to answer questions and explain the customs on view. Why were mirrors were covered in the home where a funeral was to take place? To show respect for the dead by curtailing personal vanity. Also, mirrors were thought to be a portal into the spiritual world, so it was perhaps best to cover them when the recently dead were nearby; there was even a superstition that someone seeing himself in a mirror at such a time was fated to be the next to die. We learned the difference between a casket and a coffin - a distinction that had previously eluded us. Caskets are four-sided and easier to build. Coffins are six-sided and require more careful measurements; consequently, they were usually purchased by more wealthy families. The custom of burying bodies in caskets or coffins was in response to an unfortunate result of decomposition: grave sites would cave in as the body shriveled; putting the corpse in a solid box would prevent this. We also learned details about memento mori, post-mortem photographs of loved ones. The custom came about at a time when photography was so expensive that often surviving family members found themselves without picture of the dearly departed; the only recourse was to take a photograph of the corpse. We had seen this sort of image before, with the body in a coffin or otherwise surrounded by obvious funeral arrangements, but we were surprised to learn that often these memento mori were posed to simulate life, with the body stretched out on a couch as if taking a nap. One bizarre image even depicted a family giving a bath to a baby - something that never would have been done had the child been alive but which was deemed suitably "life-like" for a post-mortem picture. If all of this sound a little ghoulish - well, so it is. But it is also fascinating from a historical perspective. And less the whole event sound a little dry, rest assured that there were activities to keep the children entertained, including story telling and bobbing for apples. 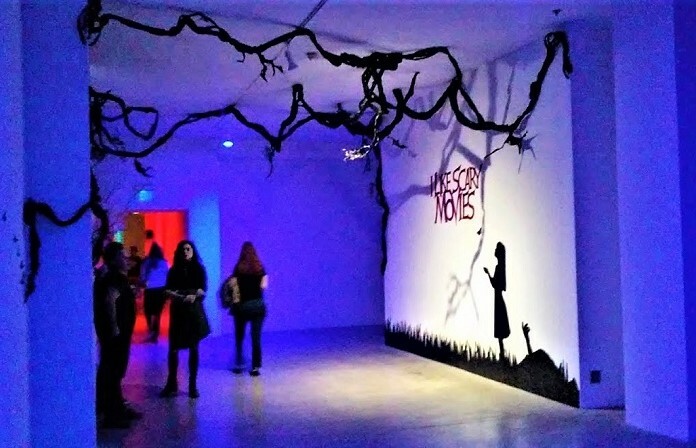 As one of the few daytime Halloween events in Los Angeles, the Heritage Squre Museum's annual Halloween & Mourning Tours providing an interesting alternative to the night-time haunted houses and costume contests that proliferate during October. Win tickets to Eek! at the Greek! October 10, 2014 Steve Biodrowski Comments Off on Win tickets to Eek! at the Greek!